A walker must be safe and comfortable. The new rollator by BESCOMED provides not only safety and comfort, it also offers an elegance that is unparalleled. He is a class of its own. 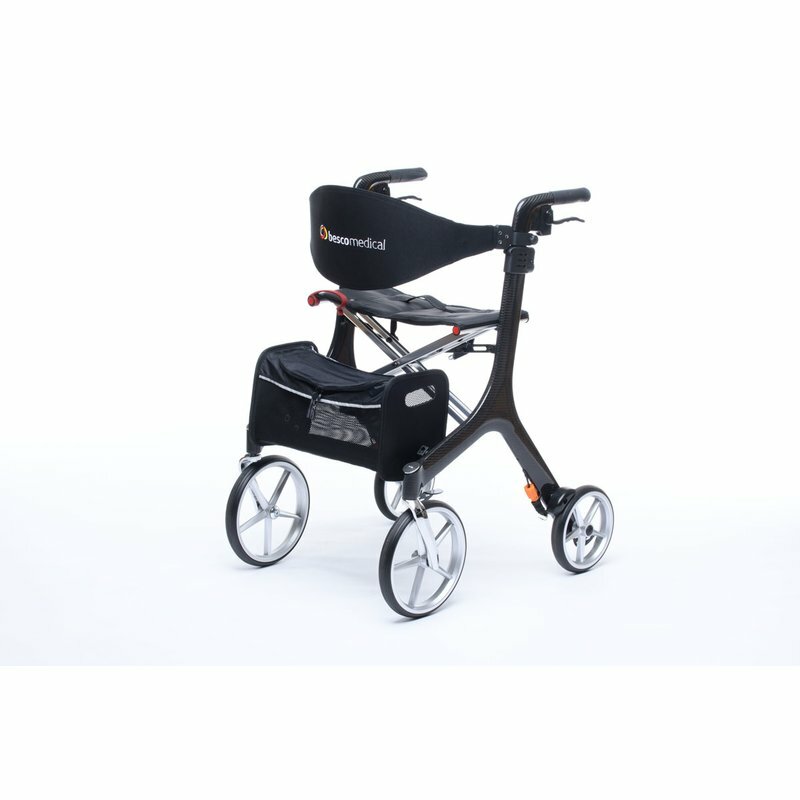 By selecting the material used provides the walker a very significant additional benefit for people with reduced movement of persons: a minimum effort in use. 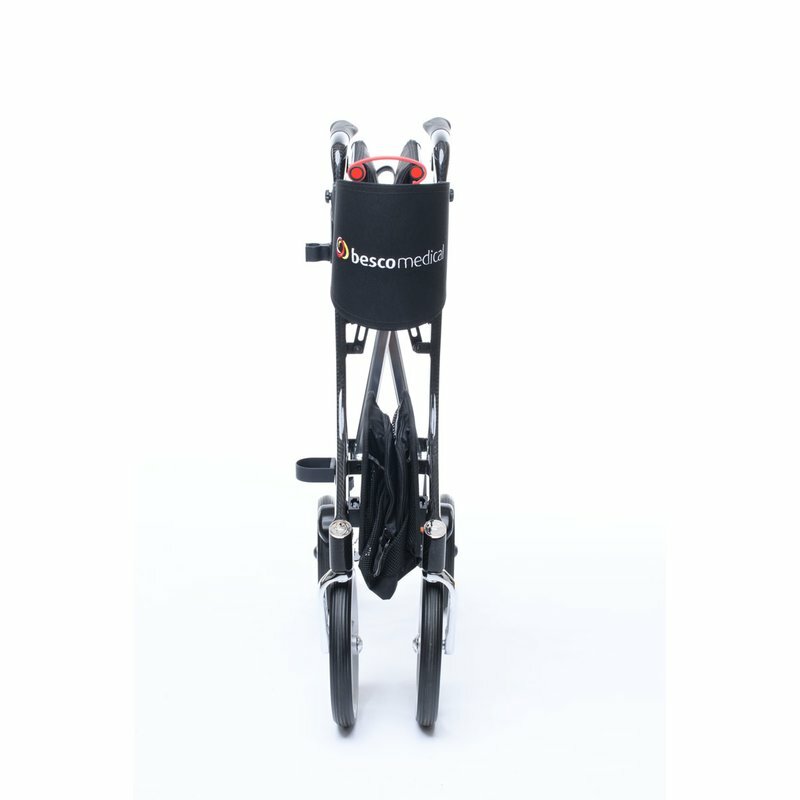 The goal in developing this product was therefore to achieve the lowest possible weight with maximum stability. 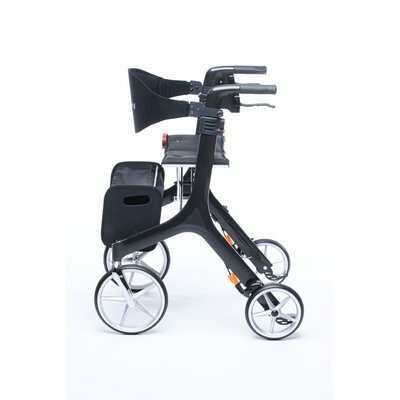 So the walker CARBON boasts (without accessories in size S) weighing only 4.9 kg. This could only be realized through the use of carbon fiber composite material. Carbon is characterized by a very high strength and light weight. Developed in aerospace engineering will find this material today in Formula 1, in bicycle frames and sports equipment. 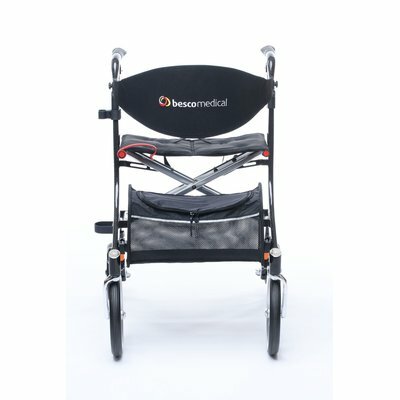 Now this material has found its way even with quality rollators by BESCOMED. 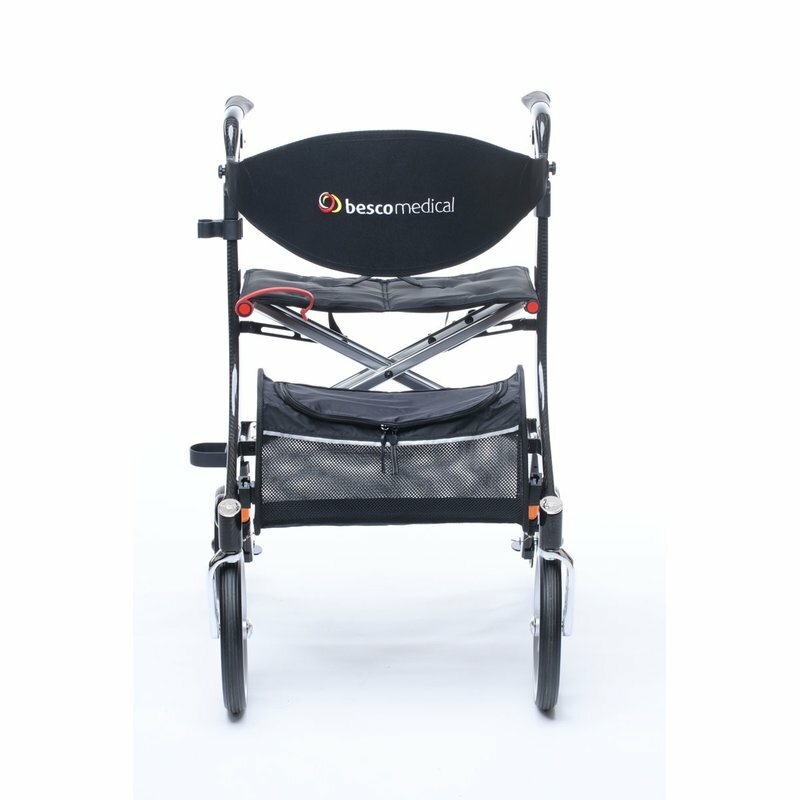 By high quality, make the patient with the walker Spring, we also have this new walker just as comfortable with a padded seat and the broad but removable back strap which is ideal for comfortable sitting and resting. 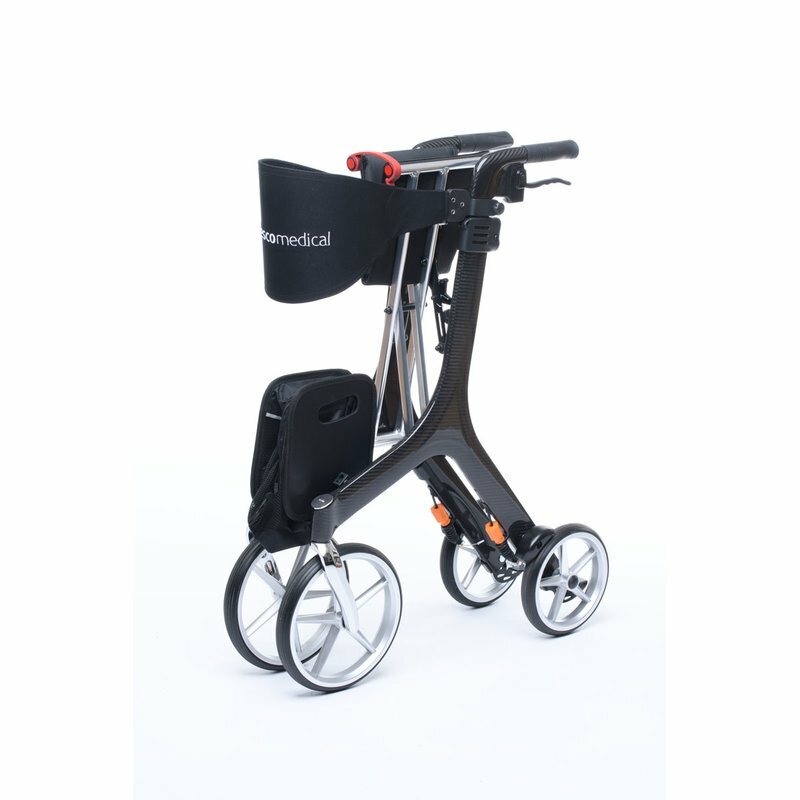 A large, easily detachable pocket with zipper and a sturdy bottom and a stable crutch holder complete the equipment. The footprint of CARBON in the folded state is very low, so it can be tucked almost anywhere, even in the trunk of a car. And not only in the car. The low weight you also benefits from traveling by bus, train, boat and plane. The large 8 "and 9" wheels in an elegant appearance with puncture-free PU tires will give you a comfortable driving and driving experience and let you overcome curbs and other obstacles easily. Ergonomically designed handgrips, the large, smooth brake handles with installed under braking trains convey security. The reflectors front and rear offer extra protection on the road. 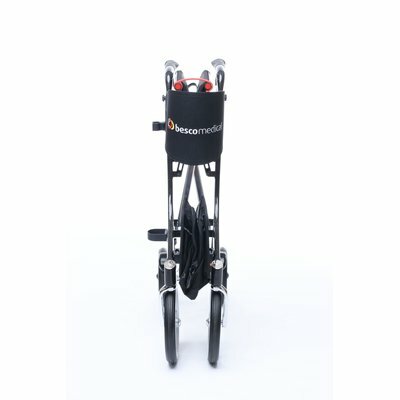 Accessories: cupholder, Sun / umbrella holder incl.